I am in no way affiliated with Tim Burton or anything to do with the Nightmare Before Christmas franchise. This pattern is not branded as anything affiliated with said franchise. 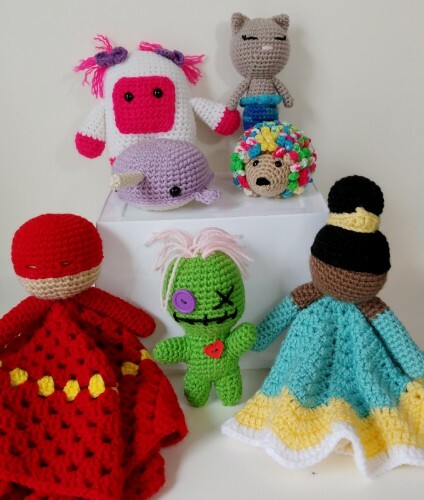 This pattern is an original pattern by Crazy Crochet Lady (June 2017). Please do not claim this pattern as your own. If you wish to share this pattern, you may link to this pattern but please do not reprint it on your site. You may keep a copy for your own personal use but you may not sell or distribute it. If the pattern is used please link back to me as a courtesy between creators.